a quilt is nice: i'm back! phew. it feels like forever. we moved! from texas to colorado. it has been busy and crazy. my sewing machine has been packed away for weeks, i finally unpacked it last night. i feel like i have been going through quilting withdrawals. here are some doll quilts i made (before the move) for christmas gifts. i can share them now that the recipients have seen them. thanks to all those well wishers who inquired after me. i am indeed doing fine, just busy. Adorable quilts. I especially love the last one! welcome back! late holiday wishes!!! Oh thank goodness you are back! It seemed like you fell off the edge of the earth! You are one of my favorite blogs and I've been checking-in every day with fingers crossed! Glad you made it safely to your new home and that all is well with you! I am so glad I found your blog! Your quilts are lovely and inspire me to drag out my machine. Have fun in CO! We lived there for 5 years and loved it. We were sorry that we had to move. I'm not sure where you're at, but I know of a great, make that GREAT, quilt shop there. How excting to be in a new place! Not so fun to pack and unpack! We just did it. How fun to have your sewing machine up and running again though! We are so glad your back! You were missed dearly. Welcome back! Can't wait to see all that you create in your new Colorado home!! P.S. Kristen got me your new address for the bee and fabrics are going in the mail today! Fun! 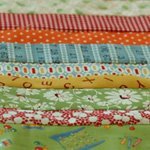 I recently found your blog when I stumbled upon your zig-zag quilt. Love it! 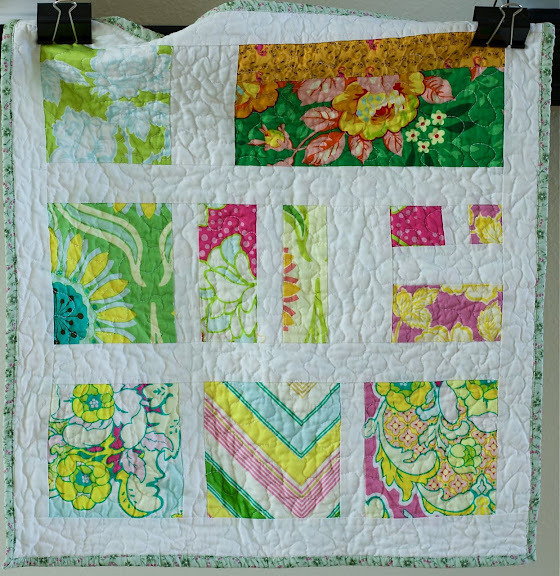 These little quilts are so cheery. Whoever received them was L-U-C-K-Y! welcome back! or WELCOME HOME... all that moving, and you still whipped out a few doll quilts! wow. welcome back! i've missed you. love the doll quilts. love those doll quilts! glad your move went well! We just made a major move too so I understand how you must feel. Living in boxes ain't so bad...until you realize you can't find your deodorant or toilet paper, lol! Welcome back! I've been checking and checking, just hoping you'd be back. Congrats on the move. I'm in Texas and I'm happy to report it was 70 degrees today :-) LOL! 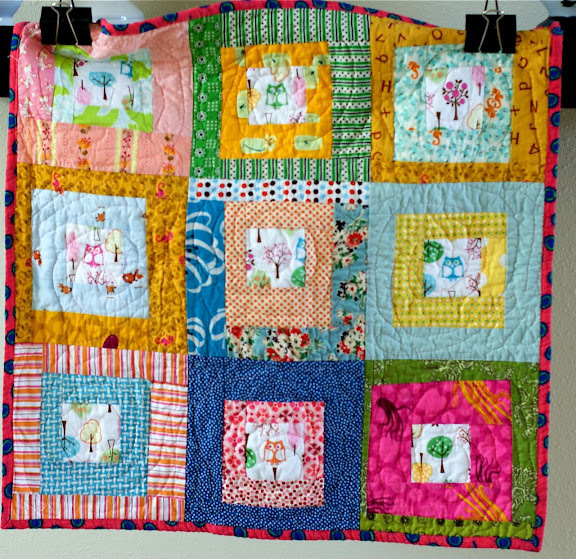 Thanks for sharing your pictures with us...the quilts are cute. Now that you are getting all settled, I am looking forward to seeing more. Love the colors.....we lived in Lampasas, Texas and now American Samoa (for two more years). what cute doll quilts! and how fun to move to a new place. cute quilts......love the bottom one!! I'm so glad to see you back! I love your new quilts. Wow, I can't believe you moved! I used to live in Colorado - what a beautiful place. Hope you settle in soon. I love both of those quilts, especially the second one! So whimsical and colorful and fun. Your quilts are always so creative.